Launched in October last year, the Safari Destinations / Travel for Impact (TFI) Community Bus is making a real difference in the lives of the less fortunate, whilst adding a splash of colour to Maun’s streets. A video, The Years Pass By, (see button below to play) highlights the work of the bus in the community. This unique collaboration between travellers to Botswana, private enterprise and charitable organisations is directly benefitting our disadvantaged communities. The bus was purchased by Safari Destinations through funds set aside for a charitable donation, along with monies derived from the TFI Bed Night Levy. The Bed Night Levy is an ingenious initiative, whereby visitors to Botswana are levied 1US$ per bed night booked through Safari Destinations. These funds are utilised by Travel for Impact (TFI) to support the core running costs for local charitable organisations as well as other community beneficial projects, including the continued running expenses of the Community Bus. 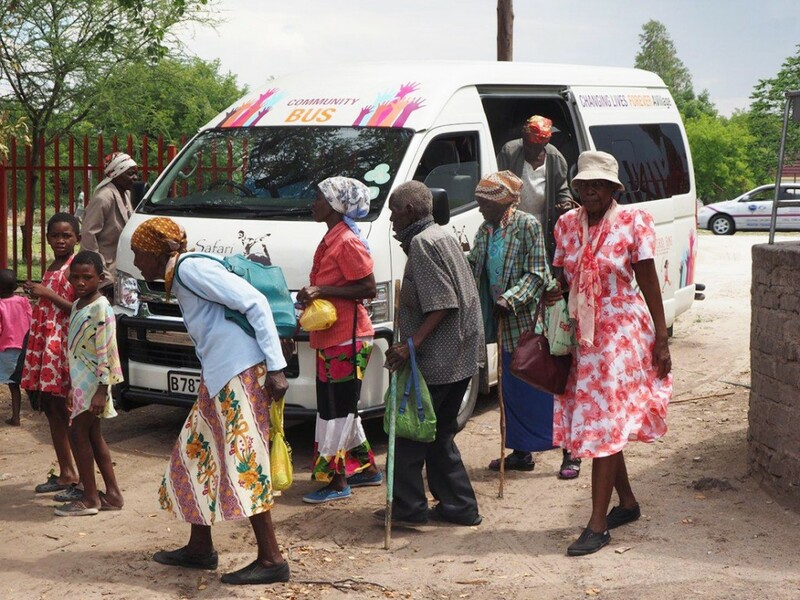 The bus – the first of its kind in Botswana – solves the transportation challenges for not one but several charities by operating on a scheduled basis. It’s a school bus, granny transporter, safety zone and life line that empowers our community all rolled into one. A Community Bus in the gateway to the Okavango – another example of the direct benefit of tourism to Botswana.